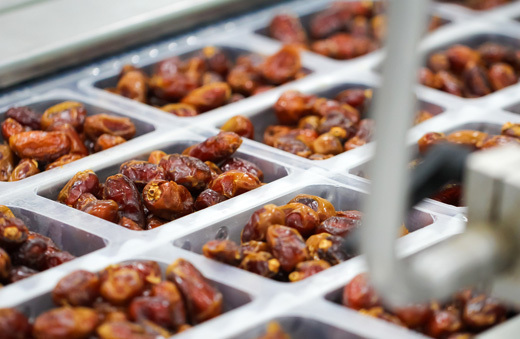 Our Dates processing facilities are located at Khairpur, Sukkur District. But the shipments for export are handled from Karachi, which is a Port City of Pakistan. 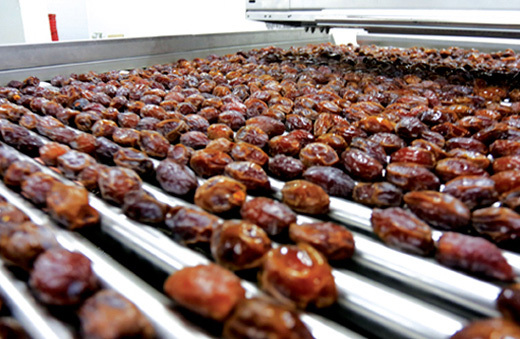 Our Dates Processing Plant (Factory) is located at District Khairpur, Sindh, Pakistan. The dates selected for processing are graded or categorized as FAQ, GAQ, Industrial, High, A, B, C, Grades / Categories. The plant is equipped with modern technology. Fully automatic metal detection scanning machines are available. The processing plant is ISO certified by a reputable and renowned inspection firm. Besides our products are also Kosher & Halal certified. We have implemented HACCP in our production facilities. The factory is staffed by skilled people (men and women) work force. 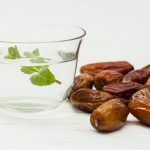 They operate with hygienic method while treating dates in different processes. Gilano Dates is one of the leading Dates Exporters & Supplier. We deal in Pakistan Fresh Dates. Gilano Dates takes care of the whole date sorting process, so as to preserve the quality of Pakistan Fresh Dates. Beside this, we’ve Dates graders and processing machine with sorting options for weight, size and color. At Gilano we take care of every steps of cleaning, heat treatment, drying, fumigation, irradiation, moistening, pitting and pasteurization. People call us “Dates Fruit Processing Experts“. Bulk packaged in food grade polythene lined cartons of 10Kg, 15Kg and 25Kg or as required by the customer with private labeling and branding is Gilano Dates‘s one the expertise. 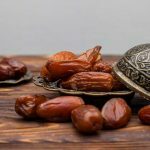 If you’re looking for a high quality Pakistan Fresh Dates, then we have been for 30 years successfully exporting to countries such as US, EU, Mexico, Canada, Korea, Japan, Australia, New Zealand and the Middle East. As we are an ISO 22000:2005 & HACCP Certified accredited company, clients can be confident that every move is undertaken and audited as per the highest standards. 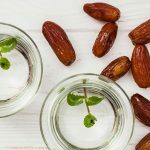 Looking for Best Quality Dates & Top Variety Dates from Pakistan? Gilano Trading Company is a reliable source of supply for best Pakistan Fresh Dates.